This weave set has a base which allows the poles to be adjusted to any angle. 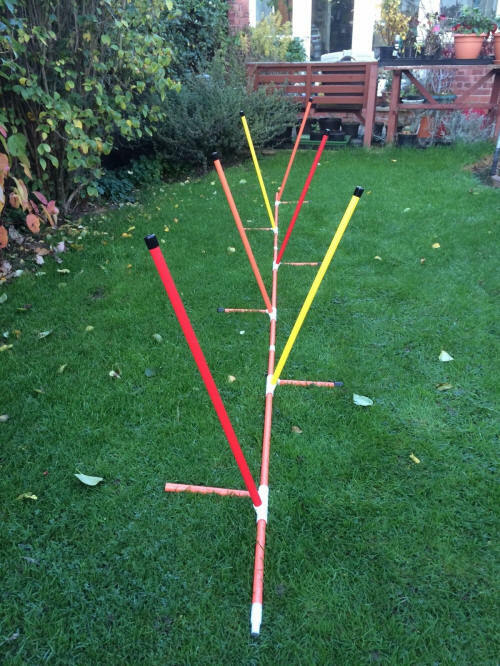 This helps train new dogs to weave & can help speed up experienced dogs by setting the poles at an angle that eases the route through . All our weaves are made to the new spacing requirements. Made in high impact resistant Upvc. Can be used on any surface even indoors!! One pack contains 6 poles and base. Design allows two or more sets to be used together. 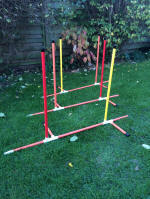 Comes as three interlocking sections so perfect for 2x2 training. Our Weaves are sturdy but these will help when running fast large dogs.